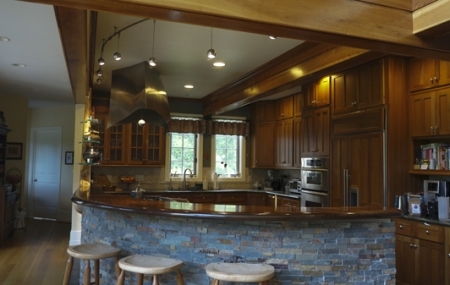 Clients approached us about renovating their kitchen as they found their kitchen island to be too large and difficult to use. 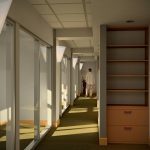 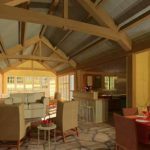 The program was to design a solution that offered the functional fix they needed and create the sculptural center to the living area of the house. 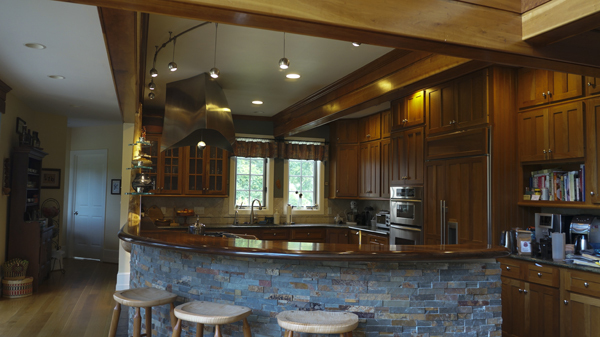 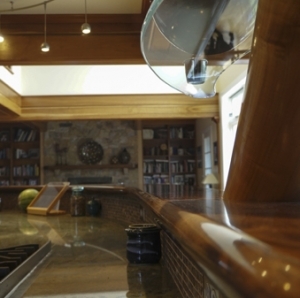 The curved island reused most of the cabinetry and stone from the top of the old island. 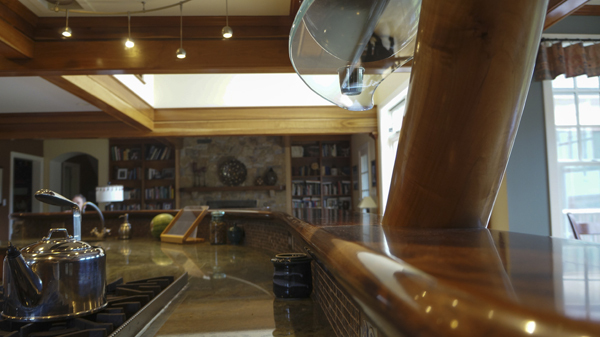 The Verde granite was re-cut based on patterns developed in the design process. 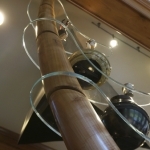 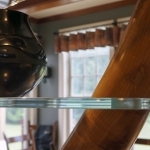 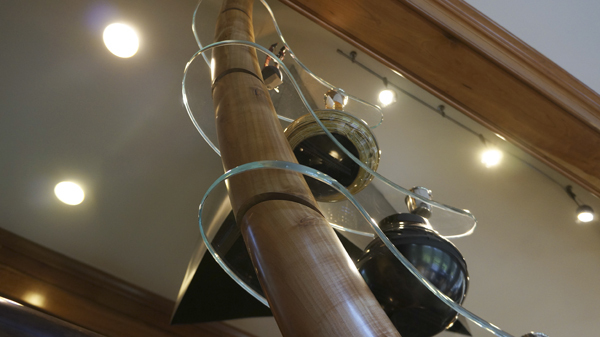 MSA worked with wood artist, Vicco Von Voss, to fabricate a 17 ft long curved walnut countertop from a tree that was felled on the property with a sculptural maple tower form that supports leaf-shaped glass art shelves. 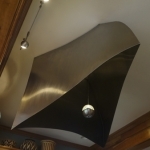 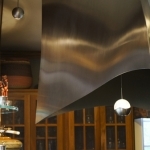 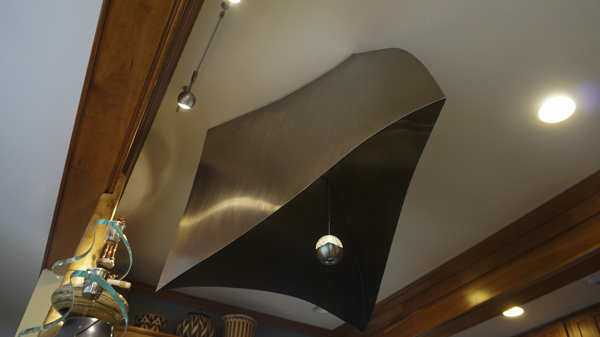 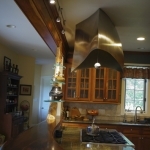 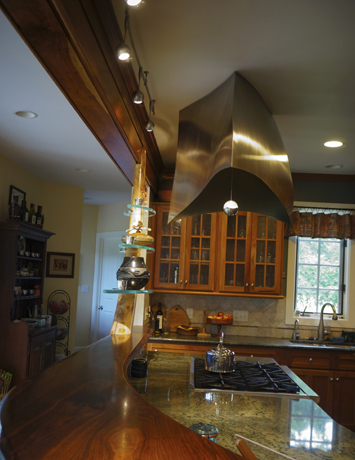 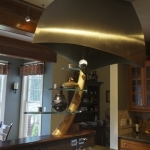 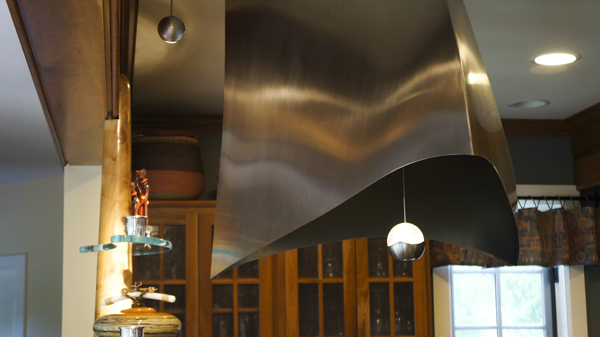 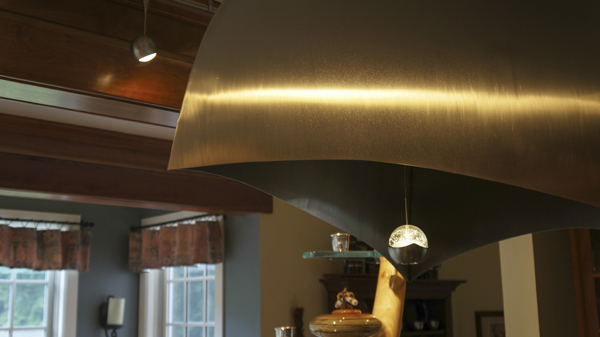 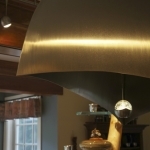 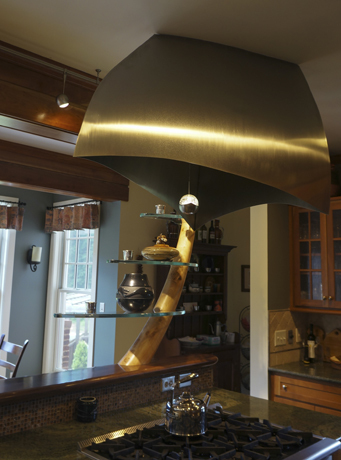 At the center of the kitchen is the vent hood for the range which is a sculptural stainless steel element. 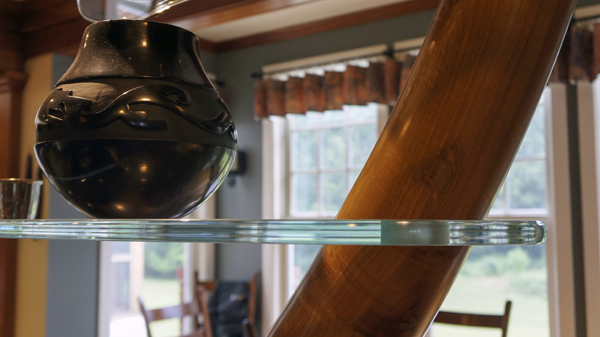 Several study models were created to test the properties of the material to form the organic shape before moving to fabrication.